Hi, here's a general update. The showa and shusui fry are doing ok. The yamabuki didnt spawn - such a shame, and I'll need to rejig my brood fish before giving them another go next year. 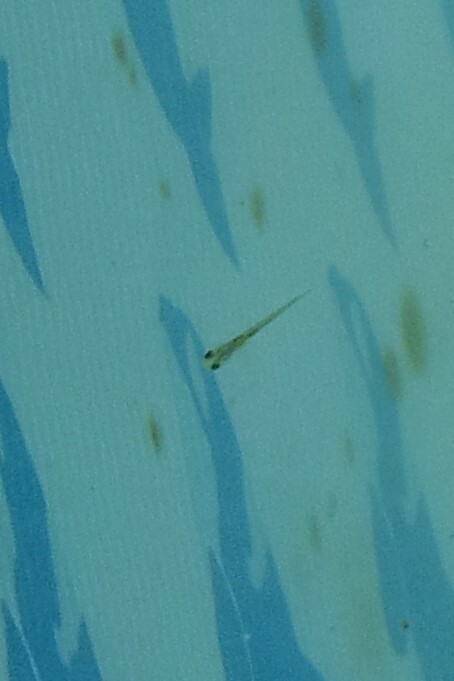 As I mentioned before, there were far fewer showa eggs than I would have liked and the fertilisation was fairly poor - but now I can see the fry I can see the ratio of black ones to white ones is very good, and the fry are a good size. And this is excellent news about the male/female match up, and lays foundations for another go next year - hopefully with a second showa male if I can find a decent one. the female showa is doing ok, and took a few small mouthfulls of food today for the first time since before the spawning. I've been worried about her, and the spawning clearly knocked her back - but she well on the way to recovering now and I have a feeling she'll be one of the stars for next year. I'll have a better idea of the number of fry when I drain the tank down tomorrow. It's not many, but I'm going to keep them to first selection and decide what to do with them from there. The shusui spawning tank has been more complex to manage. Water quality took a dive during the spawning with both males taking small knocks, which released blood into the water. I've done water changes but I think the poor water quality hindered the eggs early on. Nevertheless, there are fry - I just can't make out the numbers as the water has gone green. 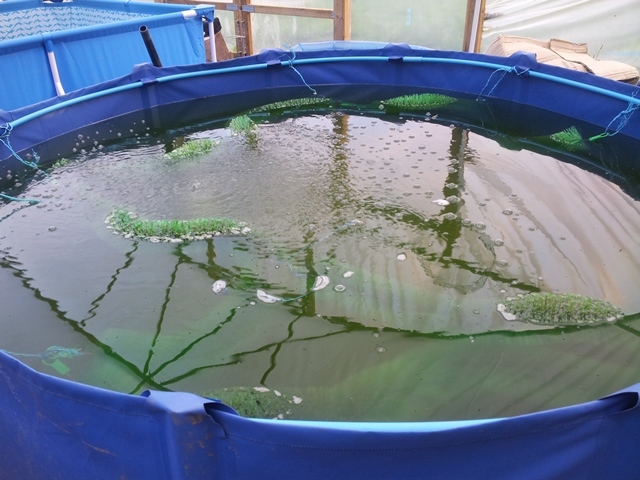 With the kohaku fry growing fast, I need to do second selection soon to provide the best growing on conditions for the fry I want to take further. I'll need somewhere to put the ones I don't want to grow on any further so I've resurrected one of my "tea cups"; cleaned it out and set it up in the polutunnel. I will connect it to the males tank drum filter, and move the females tank onto a separate filtration circuit - this is long overdue anyway, and I may as well do this job at the same time as plumbing the tea cup in. 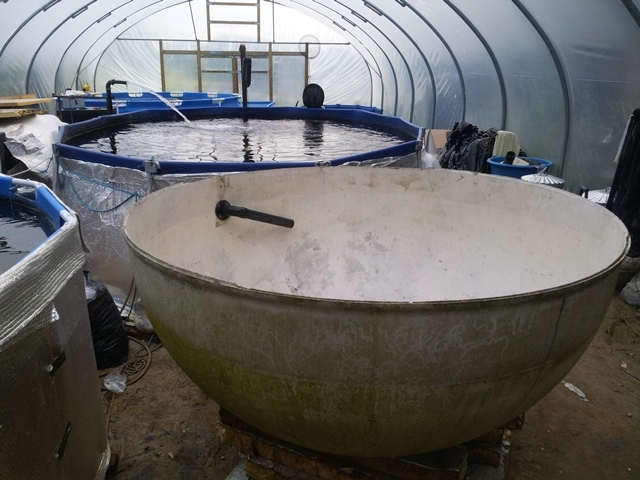 It's around 2k liters and will be a good holding tank while we find new homes for the koi. I'll have one more permanent tank to set up - it will be another growing on tank for the fry that we'll harvest in September. The polytunnel is now full!